Joanne Gard Marshall, PhD, AHIP, FMLA, graduated from the library science program at McGill University in 1968. She earned an MHSc degree from McMaster University in 1978 and a PhD in community health from the University of Toronto in 1987. 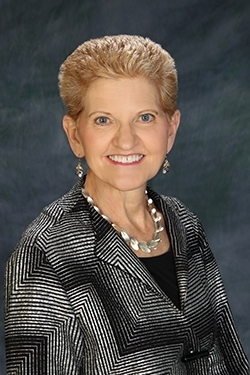 Her interest in research and its application in practice were cornerstones throughout her career and helped to determine many of the issues she pursued in her work settings in Canada and the United States and as a leader in the Medical Library Association. 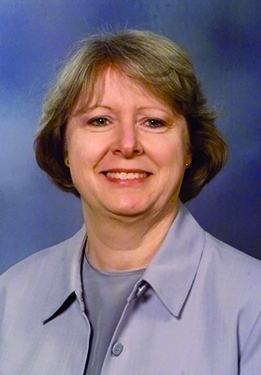 After beginning her professional career at the University of Calgary, Marshall developed her lifelong commitment to health sciences librarianship while working in the Health Sciences Library at McMaster University from 1970-1982. [T]hat whole experience really made me realize that wherever you are, you have to really understand, identify with, and contribute to the strategic plan, the goals of the broader organization that you serve… [I]f you stay as a service entity on the side but don’t integrate yourself and get yourself out there and be visible…things will not go well in the long term… [I]n the health sciences, we were just a little bit ahead in forging some of these new roles for librarians, which we have to continue to morph and change over time, because so much continues to change in our field. Upon completion of her doctoral degree, Marshall joined the Faculty of Information Studies at the University of Toronto, where she taught from 1987-1998. She was recruited to be dean of the School of Information and Library Science (SILS) at the University of North Carolina at Chapel Hill, where she led the program from 1999-2004. In 2004 she became alumni distinguished professor in SILS, devoting herself to research, teaching, and service, and in 2014 was appointed distinguished research professor. 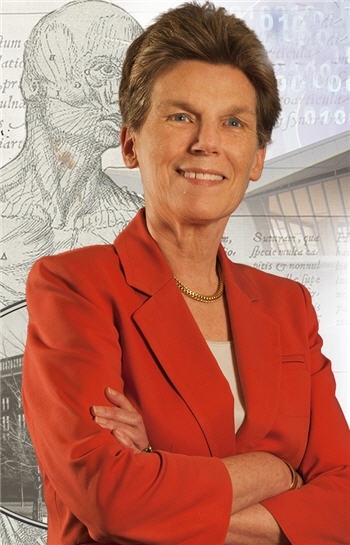 During her five-year tenure as dean, SILS saw a four-fold increase in research funding and developed important new educational programs that helped the school achieve international prominence. Marshall was president of the Medical Library Association in 2004/05, having served earlier on the Board of Directors from 1994-1997. 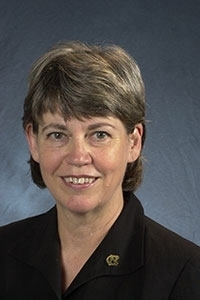 She contributed to key MLA committees and task forces, including the Research Task Force and related committees, Nominating Committee, and associate chair of the 2000 National Program Committee. She chaired three sections: Medical Library Education, Consumer and Patient Health Information, and Library Research. [MLA] creates a structure within which we can share our knowledge at various stages of the production and application of that knowledge. And long may the good ship MLA live and sail… The only claim to professionalism that we have once we finish our master’s degree education is that we have an active professional association which helps us to maintain our continuing education and gives us an opportunity to continue to learn and grow and contribute to the knowledge base… I really hope that we all continue to support MLA, because it’s not an easy time for professional associations. Marshall delivered the Janet Doe Lecture in 2013 and the following year was recognized with the Marcia C. Noyes Award. She was honored with life membership in the Canadian Health Libraries Association (2000), Special Libraries Association fellowship (2001) for her work on their research and competencies documents, and MLA Fellow (2002). In 2005, McGill University conferred an honorary doctorate in recognition of her contributions to the field of health sciences information. Marshall helped reshape practice, education, and research during a remarkable period of innovation and change in the field. She was an early leader in consumer health information services, clinical librarianship, and the study of adoption of technology. In key studies, she documented the value of the librarian in contributing to clinical practice and successful patient outcomes, and she collected data on workforce issues affecting librarians. She published more than a hundred scholarly articles. Due to her widely recognized research skills, she was repeatedly called upon to guide the development and implementation of MLA’s research policy statements. [Policy statements] are the things which set MLA, in particular, apart… They were not prescriptive, [b]ut they gave the kind of guidance and even set up a set of values around education and research and ethics that we can be very proud of and which we continue to build on today… I know they really influenced me an educator… [W]hen MLA speaks, it speaks for all of us, and we are much stronger together than we are individually. An early champion of evidence-based librarianship, Marshall led international conferences dedicated to this topic and spoke frequently about the acquisition of research skills and application in the daily work of librarians. Her passionate focus on practical research served as a stellar example of how librarians can acquire new skills, demonstrate their institutional contributions, and be accepted as valued peers in the health care environment. [Y]ou see an opportunity [in your career], and if it’s something that you really think you could develop a passion for, you should follow it. And then things start to come together in various ways. Again, there’s a wonderful aspect of not overplanning… But you want to be ready to seek the next...big thing…although I don’t believe in just one big thing, I think it’s a number of things. And you need to make sure you’re scanning your environment, and you need to make sure you’re connecting with your institution. All of these things kind of come together, and then you say, okay, this is where I could make the best contribution.